If you are looking for ways to save money on home repair and maintenance costs, you are not alone. These expenses can easily add up to thousands of dollars or more over the course of a year, and this means that there is potentially plenty of room for homeowners to save money. With some types of services, contractors may charge a more affordable rate during the winter months when their work schedule may be much lighter. If you have the foresight to plan ahead, you could potentially save a small fortune. 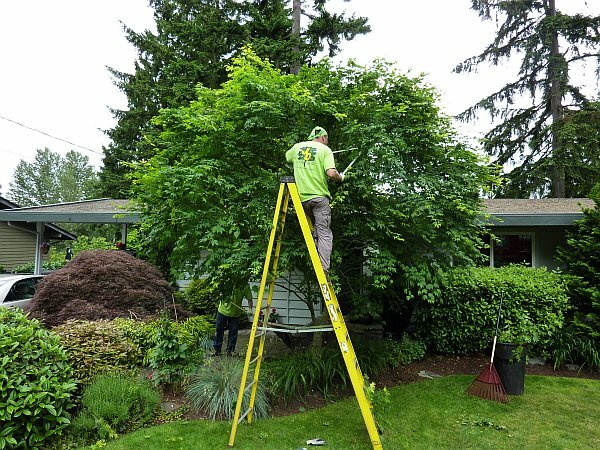 Many homeowners think about scheduling tree trimming and shrub pruning services when the weather begins to improve. Spring is a time to add mulch and flowers to the flower beds, fertilize the lawn and make other landscaping efforts. Because of this, landscapers may be much busier in the spring than in the winter. In fact, they may be so slow during winter months that a company like Schulhoff Tree & Lawn Care, Inc. might provide you with a seasonal discount or increased availability on tasks such as trimming your trees and shrubs. Many homeowners turn on their air conditioner for the first time of the year in the late spring months, and some discover that their AC system needs a tune-up or even major repairs at this time. Between the drastic increase in requests for AC maintenance and repairs in the spring months, AC service providers may be very busy this season. Their rates may reflect the increased demand for services. Winter months, however, may be almost dead for AC professionals. During the winter, you may be able to cut a deal if you are aware of needed services that were not tended to at the end of the last season. Because many homeowners spend the majority of their winter months indoors, they may rarely look up at the roof during this season. However, when they are outdoors working in the yard or otherwise enjoying the beautiful spring weather, they may notice signs of roof damage. Roofers may be relatively slow during the cold winter months, but requests for services increase as the temperature increases. Because roofers need to stay busy throughout the year, they may be willing to offer discounted rates during their off-season. If you are currently aware of any of these types of services needed for your home, now is a great time to inquire about rates. Specifically, inquire about off-season discounts that may be applicable to your service request. This simple step could save you a substantial amount of money on needed work.